Christy Clark is the longest serving female premier in Canadian history, holding the office from 2011 to 2017. Former B.C. premier Christy Clark has been named to the board of directors for Shaw Communications. "She brings to our board a breadth and depth of relationships across Canada, both from politics and business, particularly in British Columbia, including in our largest single market, the greater Vancouver area," said executive director JR Shaw in a statement. Clark is the longest serving female premier in Canadian history, holding the office from 2011 to 2017. Before becoming premier, Clark served as an MLA for nine years, from 1996 to 2005, and held cabinet positions for four of those years. 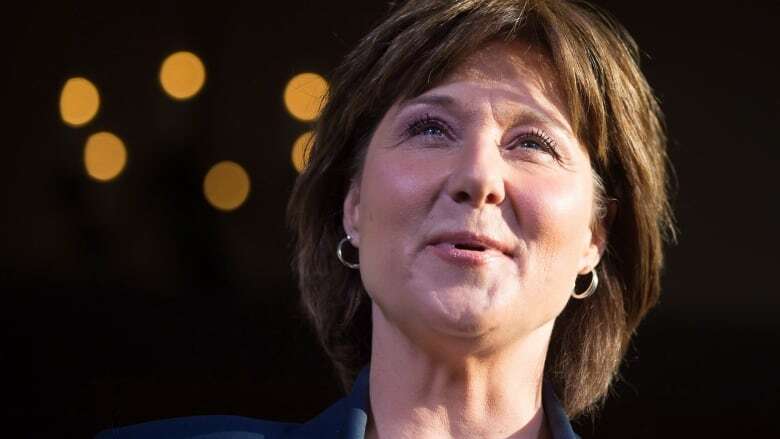 She took a break from politics — from 2005 to 2011 — to work in media as a columnist and commentator, hosting the namesake Christy Clark Show on CKNW in Vancouver. "I look forward to joining and making contributions to the board as Shaw continues on its journey as a leading connectivity provider of broadband, video, voice and wireless services in Canada," Clark said in a release. "I welcome the opportunity to support the company in growing its presence in British Columbia and its other key markets." Clark retired from politics in August 2017 after the B.C. Liberal party was defeated on a confidence vote, 44-42, thanks to an alliance between the B.C. NDP and Green parties. She has received several awards, including the YWCA Women of Distinction Award, and was named the 2009 Woman of the Year in British Columbia by the Consumer Choice Awards. An earlier version of this story included a reference to the post-secondary institutions that Christy Clark attended. The reference was removed as she did not graduate.